We LOVE to go camping! 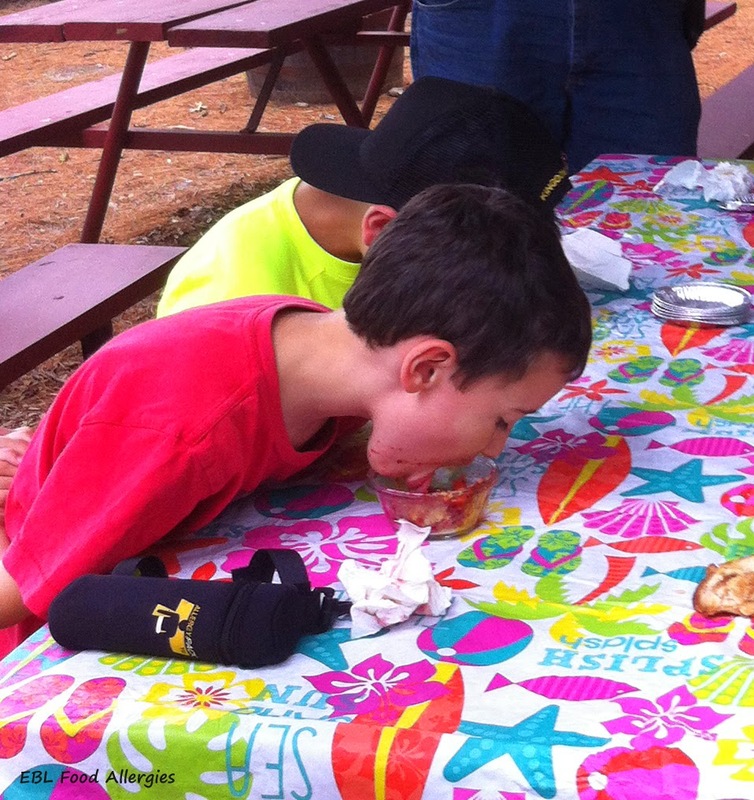 So when our campground decided to have a pie eating contest I knew just what I had to do…create a delicious allergy-friendly pie that my little man would want to gobble up quickly! Little did I know that I too would get suckered into entering the contest! YIKES! For this recipe I used crushed graham crackers for the “crust” because we recently added wheat back to our safe list. Using the graham crackers makes this recipe dairy free, soy free, egg free, peanut free, tree nut free, (and fish free and shell fish free). However, for a super easy “crust” that is free of the top 8 allergens I suggest using crushed Vanilla Honey Graham Cookies by Enjoy Life Foods. The texture and taste are perfect for almost any pie flavor. he DID lick the bowl clean! but I much prefer making small individual pies. 1. In a small bowl combine the first four ingredients and stir well. 2. Add the crushed graham crackers/cookies to the bottom of your pie pan, reserving about 1/4 cup to sprinkle on top. 3. Empty the pie filling mixture into pan. 4. Sprinkle the remaining crumb mixture on top of pie. 5. Chill for 30 minutes and ENJOY! I’ll be sure to make this easy pie for Thanksgiving this year! 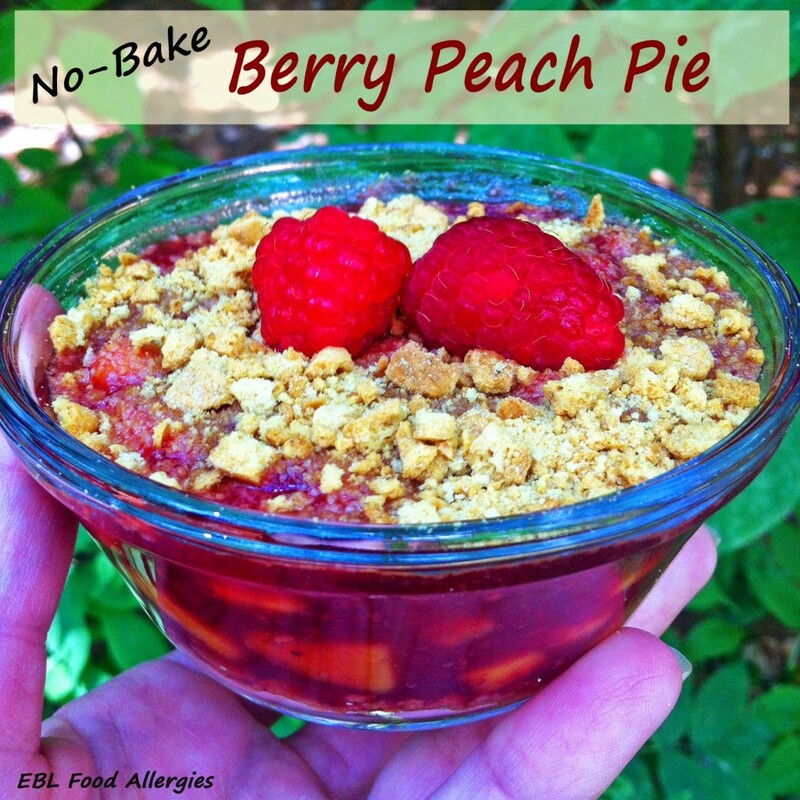 Check out my post from last year on how I created an Allergy-Friendly Thanksgiving Meal!